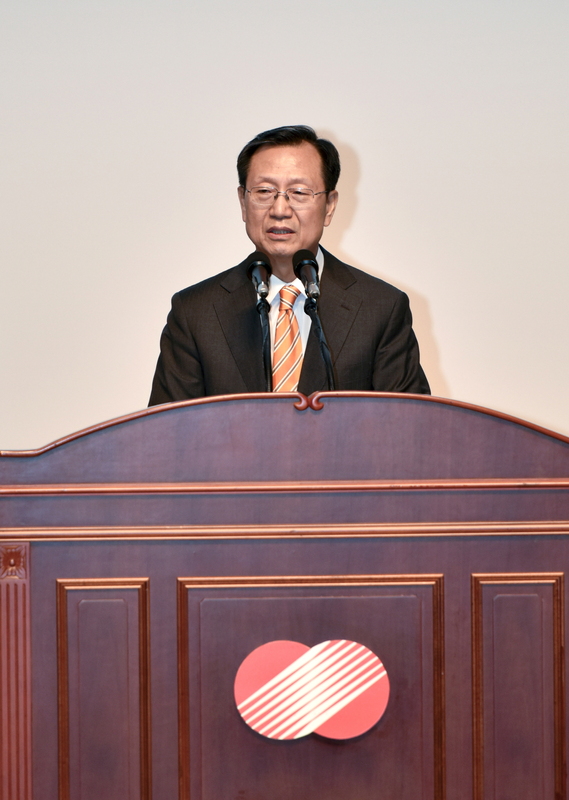 President Kim Jong-gap of Korea Electric Power Corp.
President Kim Jong-gap of Korea Electric Power Corp. (KEPCO) held a ceremony to kick off the 2019 business year with executives and staffers attendance at KEPCO headquarters in Naju, Jeollanam-do, on Jan. 2. He called for everyone to make efforts to catapult KEPCO to a global digital transformation leader. “I wish for you and all of your surrounding people a healthy and happy year on the occasion of welcoming the Year of Golden Pig. As we start a day, we would make a resolution anew. As you begin New Year, how could you not make a pledge? A research showed that New Year’s resolution ended up to a failure in just three days or 77 percent were found to have forgotten. But the same research also showed that 19 percent were found to have retained his or her resolutions for two years. If there is anyone who did not make a New Year’s resolution, please give a try for five minutes. I bet it may bring about a tremendous change in your life. “Eight and half years have passed since I began to be with you. Last year had many hardships under an emergency management mode. Thank you for your endurance. We’ve clarified our future course to make a journey for energy shift and digital transformation. As showed by the fact that several countries are taking their cue from KEPCO, we manage to maintain global recognition. I extend heart-felt thanks to our predecessors and your efforts. “I’ve devoted myself to sticking to principles and basics. Recognizing long-term development of KEPCO, our society, and nation as the prime value and mission, I’ve made efforts to not compromise for short-term profits, and thank you for support with trust in me. “There are still things unfulfilled. I crusaded for being a most successful public entity model, reflecting a balance of public and corporate interests. I also stressed customer concept and unit price conception. But (KEPCO) is still a far cry from becoming a company beloved by all, including government, people, and small shareholders. “First, I call for becoming a company leading energy shift and digital transformation. Let’s make all-out efforts to aggressively enter new and renewable power generation businesses and ensure smooth connection of new and renewable grids. Let’s make this year a year in which we can make practical achievements by fleshing out on detailed action plans to become an energy platform company. “Second, I call for being the world’s top utility group and enhancement of KEPCO’s prestige. “Third, I call for becoming a corporation ardently beloved by people and investors by shoring up ethics management and management transparency.